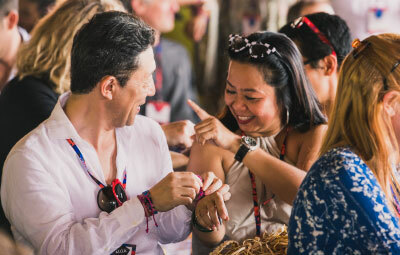 Further East | Luxury travel trade show in Bali | An invitation-only event uniting Asia’s finest luxury hotels, resorts and DMCs with specialist buyers and influential media from around the globe. From poolside power-chats to business meetings, beachfront lunches to epic morning activities, enjoy non-stop networking opportunities with fellow hospitality visionaries. 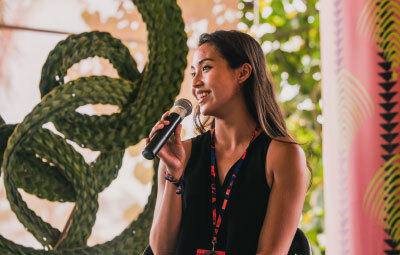 Hear inspirational talks from industry thought-leaders at AWAKEN, the Further East un-conference, and take part in immersive workshops that will spark new ideas for your business. We believe in going beyond business cards, focusing on building meaningful relationships that will drive long-term growth for your brand. Truly a wonderful experience from start to finish. I was blown away by the level of detail that was so thoughtfully executed across everything. The connections made were invaluable to our business and will greatly shape the way we sell Asia going forward. Very excited to be part of the first edition of Further East. The quality of the buyers and overall vibe was amazing, not to mention the opportunity to finally meet some partners as well in Bali. Great event and great organisation – the Further East team were very proactive and always at our disposal. It was truly great – perhaps the best trade show I have attended in years. Highly relevant and meaningful. I am sure that it will continue to grow and evolve! It was a big success – I am still receiving non-stop, great feedback from buyers. Further East is a pioneering and innovative event where we can get to know each other in a relaxed and pleasant atmosphere.